Astronomy nit picking here! Actually a "falling star" is a meteor burning up in the atmosphere, not a true star. Dude, there's lots of stars in that pic. Lots of them. And two meteors and trees and what appears to be a body of water off in the distance. But claiming that all of those stars have died millions of years ago is wrong. Some are but not all of them. And the "wishing upon a star" thing is done to a shooting star which is in fact a meteor. The meteors usually burn into bits in the atmosphere so you could claim that it is "dying" but it is not happening millions of years ago. So either way, the statement is wrong and stupid. We're talking about two different things, wishing upon a star and wishing upon a shooting star. Both are things, just two separate unrelated things. Every time I have heard the "wishing upon a star" tradition it has referred to a shooting star. 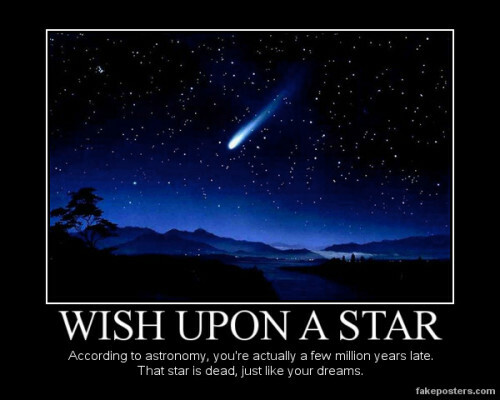 I have never heard anyone saying that you could make a wish to a real star before I saw that demotivational. So when the creator of the demotivational said that the star you made a wish to "has been dead for millions of years" I assumed (s)he thought that shooting stars are millions of light years from Earth because otherwise the sentence makes no goddamned sense. You can see the meteor burning in the atmosphere and it certainly is not happening millions of years in the past. As I recall, the first actual star to come out at night is also a valid wish receptacle. Though that's probably not what the demotivor meant, considering it uses an image of a shooting star. You've never seen "Pinocchio"? Or heard the nursery rhyme, "Star light, star bright, first star I see tonight/I wish I may, I wish I might/Have this wish I wish tonight"? a) I've seen bits of the Disney version occasionally but I've never seen a Pinocchio film completely and haven't read the story either. b) No, but Finland does have different nursery rhymes. 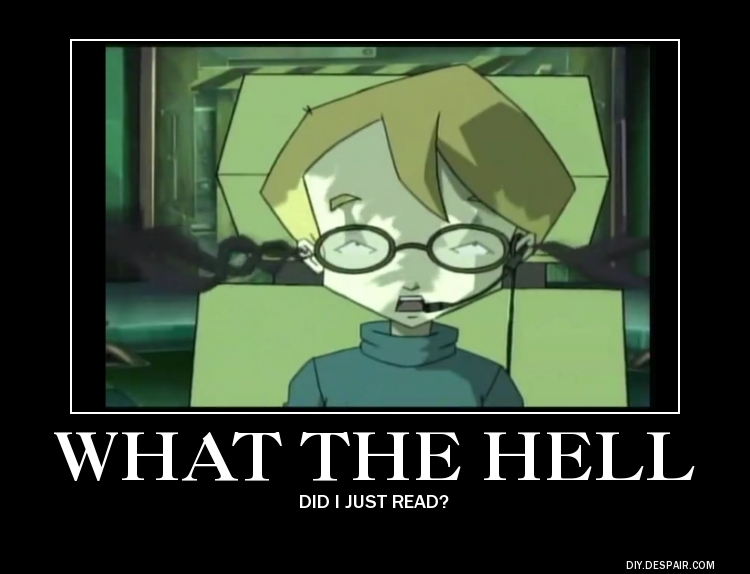 Warning: The book is VERY different from the movie. Disney's Pinnochio comes off as a victim of circumstance whose naivety was taken advantage of by mean people. Pinnochio in the book is just a selfish little brat.